Former Massachusetts Gov. Bill Weld announced Monday he was officially running for president on the GOP line — making him the first Republican to challenge President Donald Trump in the 2020 primaries. “America deserves better,” Weld’s campaign announcement video said, before showing video clips of Trump mocking John McCain, imitating a disabled reporter, praising Wikileaks and the notorious “Access Hollywood” tape where he was caught on audio making inappropriate comments about women. “It is time for patriotic men and women across our great nation to stand and plant a flag. It is time to return to the principles of Lincoln — equality, dignity, and opportunity for all. There is no greater cause on earth than to preserve what truly makes America great. I am ready to lead that fight,” Weld said in a statement. He “believes that we must preserve the democratic institutions of our Republic: the rule of law, a free and open press, and America’s global leadership in maintaining a freer, safer world,” his campaign said. The announcement video noted that Weld was appointed a U.S. attorney by then-President Ronald Reagan, and that he successfully battled tough odds when he was elected as a Republican governor in a heavily Democratic state. The Harvard Law School graduate served two terms as governor of Massachusetts. Weld, 73, has run on a ticket against Trump before — he was the Libertarian Party’s vice presidential nominee in 2016, when former New Mexico Gov. Gary Johnson led the party’s ticket. They got just more than 3 percent of the vote. He changed his registration back to the GOP after the election, and announced he was forming an exploratory committee in New Hampshire in February. The Trump campaign had no comment and referred reporters to a statement from the Republican National Committee. Dareh Gregorian writes for NBC News. 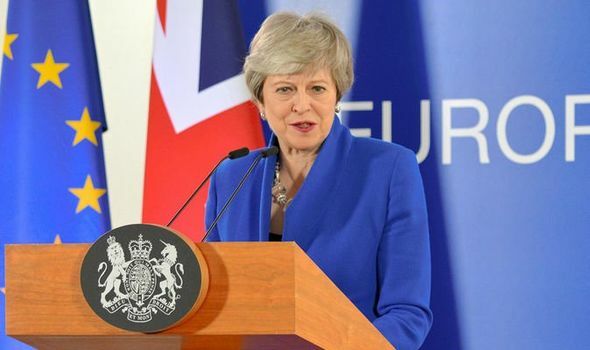 THERESA MAY risks undermining the public’s faith in politics by working to avoid the EU elections with thousands of Britons due to cast their votes, the UK Electoral Commission claimed. Rod Rosenstein, the deputy attorney general who supervised special counsel Robert Mueller’s investigation into Russian election interference and President Donald Trump, on Thursday defended his handling of the probe, trashed the media for the way it was covered and slammed the Obama administration for not revealing “the full story” about Russia’s efforts. “Some critical decisions about that Russia investigation were made before I got there. The previous administration chose not to publicize the full story about Russian computer hackers and social media trolls, and how they relate to Russia’s broader strategy to undermine America,” Rosenstein told the Armenian Bar Association’s Public Servants Dinner in New York. The speech marked the first time Rosenstein has spoken publicly since Attorney General William Barr, earlier this month, released a redacted copy of Mueller’s report detailing his findings. While finding no criminal conspiracy, the report showed that Trump associates met with Russians after the intelligence community said in October 2016 that Russia was interfering in the presidential election, and even after the Obama administration announced a set of post-election sanctions to punish Russia for that behavior. Mueller’s report also details 10 episodes of potential obstruction by Trump, but did not conclude whether the president committed a crime. The report “also does not exonerate him,” Mueller wrote. Barr declared, in a letter to Congress prior to the redacted report’s release, that Trump did not obstruct justice. Rosenstein on Thursday also criticized former FBI Director James Comey for an array of decisions he’d made about the agency’s probe into Russian interference. “The FBI disclosed classified evidence about the investigation to ranking legislators and their staffers. Someone selectively leaked details to the news media. The FBI director announced at a congressional hearing that there was a counterintelligence investigation that might result in criminal charges. Then the former FBI director alleged that the president pressured him to close the investigation, and the president denied that the conversation occurred,” Rosenstein said. Mueller’s report lays out evidence that appears to support Comey’s version of the events leading up to his firing, which the White House initially pinned on a memo drafted by Rosenstein at Trump’s request. Rosenstein’s memo attributed the rationale for dismissing the FBI chief to Comey’s handling of the probe into Hillary Clinton’s use of a private email server while secretary of state. “I did pledge to do it right and take it to the appropriate conclusion. I did not promise to report all results to the public, because grand jury investigations are ex parte proceedings. It is not our job to render conclusive factual findings. We just decide whether it is appropriate to file criminal charges,” Rosenstein said. 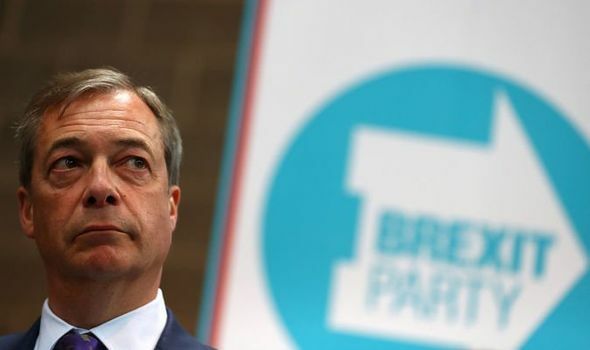 THE Brexit Party is planning to take on the Tories and Labour in the next general election, Nigel Farage said yesterday.